Thomas Gainsborough, the son of a schoolteacher, was born in Sudbury in 1727. As a child he copied famous paintings and at fourteen was sent to London where he trained under Hubert Gravelot. In 1745 Gainsborough married Margaret Burr, the illegitimate daughter of the Duke of Beaufort, and established himself as a painter at Ipswich. He developed the subject-matter of small portrait groups, set in a realistic landscape. His most famous painting of this period is Mr and Mrs Andrews (1748). 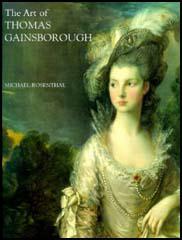 In 1774 Gainsborough moved to London where he became a foundation member of the Royal Academy. However, had several disagreements with the Academy about the selection of his paintings and refused to exhibit there after 1784. By the 1780s Gainsborough and his rivals, Joshua Reynolds and Allan Ramsay, were considered to be the best portrait painters in England. All three painted George III but it was claimed that the royal family preferred Gainsborough's portraits. 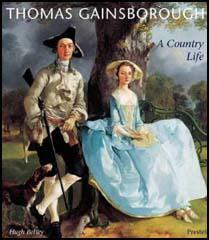 Thomas Gainsborough died in 1788.